I had some extra strawberries and thought this looked like a fun thing to try out. I took these to work yesterday and everyone ate more than one. I especially liked them straight out of the fridge when the cream part had gotten a bit colder. Tasty and dangerous 🙂 Most of the recipes involved a cake mix for the base, which I didn’t have on hand, so I just made a simple base with flour, butter, and sugar. In a food processor, or by hand, mix the flour, butter, and sugar to create a breadcrumb-like mix. Press about 2/3 of this into the base of an 8″ square tin, lined with parchment paper, and bake at 350 F for about 15 minutes, or until starting to turn golden. Meanwhile, beat the cream cheese, egg, sugar and vanilla together until smooth. 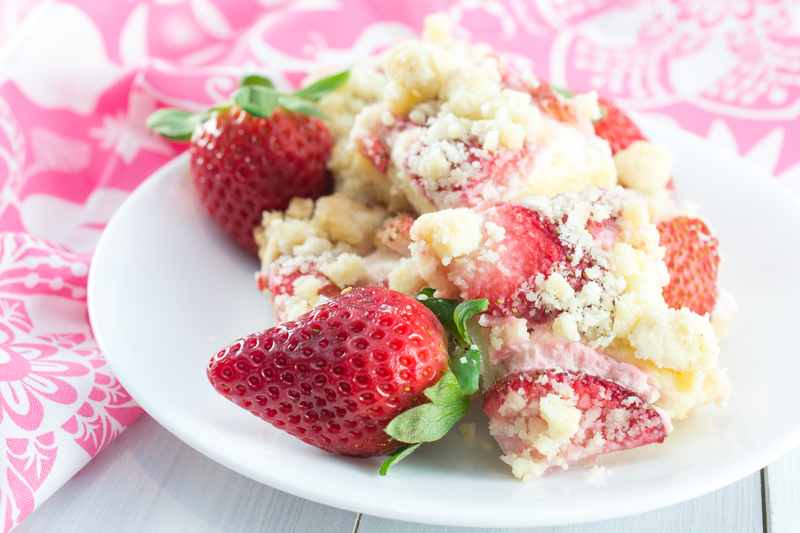 When the base is done, pour the cream cheese mixture on top, scatter the chopped strawberries all over, and finish by sprinkling clumps of the rest of the crumb mixture on top. Return to the oven for another 30-40 minutes, until the cream cheese mixture is set and the crumb is golden. Leave to cool before slicing into bars, and serve chilled. 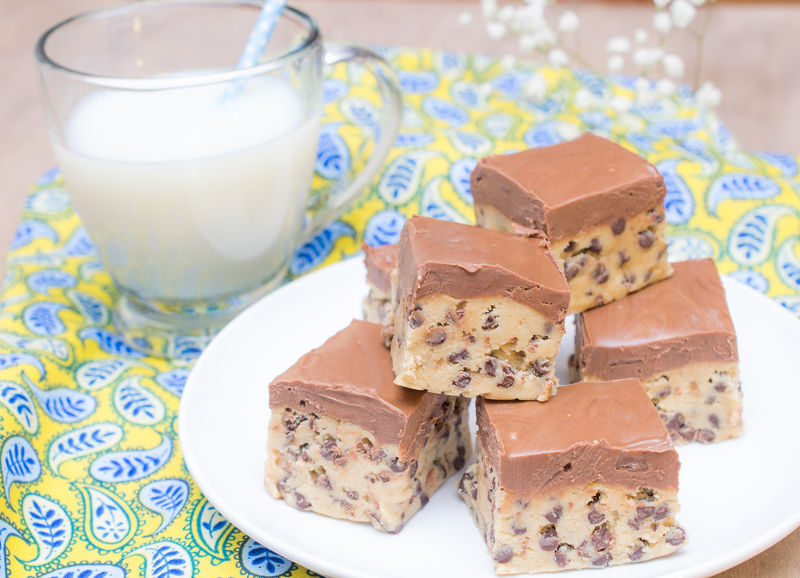 Who doesn’t love cookie dough? This way you can just skip that pesky baking part and eat the cookie dough as is. These are pretty intense so I could only eat one at once but they were sooo good. They don’t even really need the topping, but why not add a fudge topping when you’re already eating straight cookie dough. I really liked them when they were cold out of the fridge. These are a great treat and all my friends gobbled them down super fast. With a hand mixer or stand mixer, mix together butter and brown sugar until it is fluffy. Add vanilla and beat until combined. 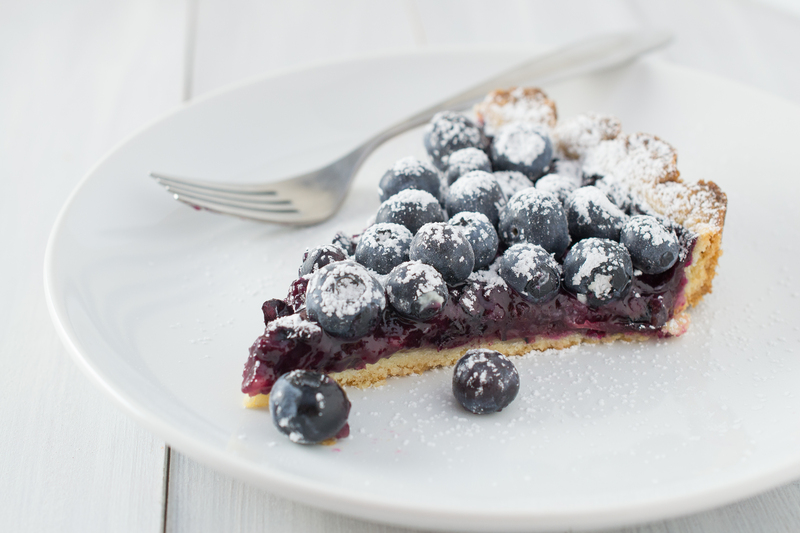 I liked the look of this blueberry tart recipe because it used both cooked and fresh blueberries. I made the crust from scratch, but you could easily use a store bought crust. The tart turned out extremely delicious and is a bit less heavy than eating a whole piece of pie. In food processor, combine flour, sugar, and salt. Add butter and pulse until crumbly. Add vodka or vinegar and pulse until dough comes together. Press into lightly greased 9″ tart pan. Place 1 pint of the blueberries over the crust. Combine the sugar, flour, cinnamon, and nutmeg and sprinkle the mixture over the blueberries. Bake at 400° for 50-60 minutes until crust is browned and filling is bubbly. 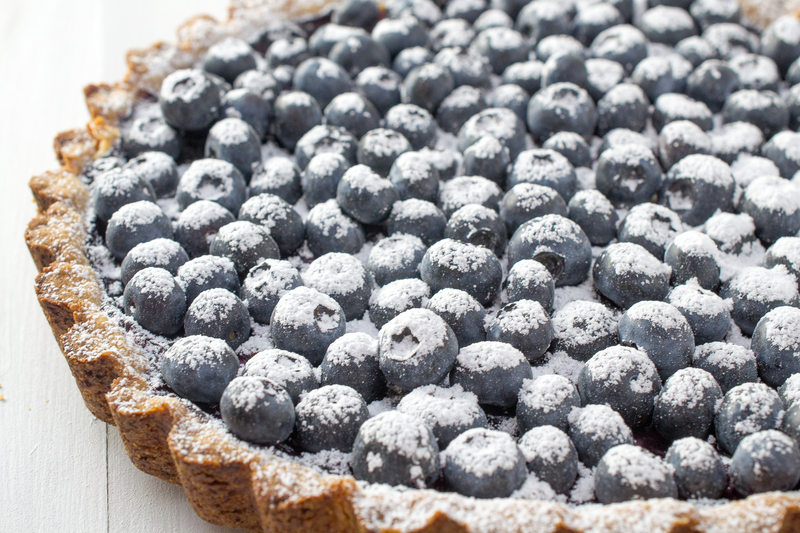 Remove from oven, arrange and press remaining blueberries in a layer over the top.